The payments landscape is changing almost daily and the overall industry is truly one of the most exciting business studies around. Payments? Exciting you say? Yes, well if you don’t’ think $1 trillion up for grabs in the next 5 years is something to get excited about I would check your pulse. As an natural observer I tend to look under the hood whenever something unusual is going on, since whenever peculiarity is present change happens. Curiosity is actually what drove me to start Seconds, my mobile payments company. It all started with observing how consumers interacted with merchants, repeat interactions in particular. Isn’t it funny how we go to the same coffee shops, restaurants, retail stores, gas stations, and other everyday activities each day. In fact, we do this so much the person at the counter who “swipes” your card actually recognizes you and may even know your name. Although loyalty started my entrepreneurial journey, it did not end there. I started to think a bit deeper about what usually happens each time you go to the coffee shops, restaurants, retail stores, or gas stations? You got it – payment! There it is, the one data point which can trace commercial actions, habits, relationships and trends. Imagine being able to aggregate and see all those data points in your own life. Things like where you spend your money, how much, when, buying what and how often. Now imagine it on a merchant wide level. How about a worldwide level? I think you get the gist of where we are going. This thinking brought me to Seconds, which is the fastest way to transact and interact with merchants. I believe if you speed up a traditionally laborious process, make it available to the widest range of people possible and emancipate the data to be used in adding value to the system, great things will happen. During this study it came to my attention how much the payment experience has evolved, and how much more it will change. Below is a quick discussion on where we have come from and where we are going with digital payments. You will notice this discussion is all about digital payments, since cash and coin have always been available and will still be around for quite some time. The current focus is on the digital payment experience and the changes we should expect. When plastic cards came into the market the obvious question became “how do we use these things?” Naturally, swipe terminals popped up in retail locations everywhere, in addition to such places as gas stations and movie theatres. Major players like Verifone, WorldPay and others transact billions of dollars each day through proprietary devices which translates information from your plastic card into electronic data and ultimately ending in a transaction. Important to note is the placement and positioning of the terminal, which can be found on the specific merchant’s counter or apparatus. Why is this important? Without the terminal, I cannot pay. No terminal, no card, no soup for you! This gave credit card companies and the electronic payments companies a leg up in the economic chain. But innovation has no master and things quickly change. We are currently seeing new methods of swipe transactions involving the mobile device hit the mass market. These swipe solutions enable a mobile phone or tablet to become, in essence, the terminal itself. The terminal has jumped off the merchant’s counter and into their hands with products like Square or PayPal empowering anyone to become a merchant. All anyone needs is a mobile device, the app, and the swipe dongle attached to the device. They are now ready to take a card payment. As amazing as these solutions may be I argue they don’t truly change the payments space, they only augment it. They allow us to use our credit cards at more places – which depending on who you are that could be good or bad – yet it’s still a credit card. 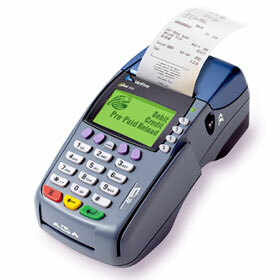 Some people call this mobile payments but it’s really just a mobile terminal. The requirements of products and devices can be cumbersome and troublesome if lost. Forward progress? For sure! But not truly an innovative new movement which will have landscape shifting effects. True innovation upsets the masses and ultimately establishes a new norm, with new rules and new players. Virtual transactions – payments made without having to swipe, show or display anything – will transform the payments landscape like no one has ever seen before. Since people carry their mobile devices with them everywhere, it makes the most sense to streamline transactions through the computer in their hands. 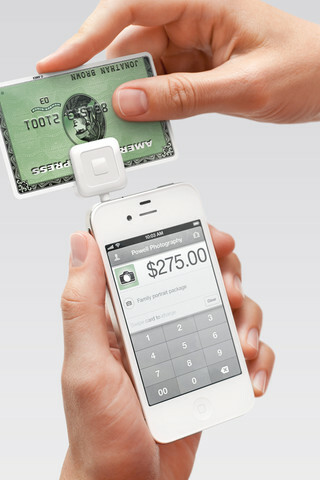 True authentic mobile payments do not require any hardware outside of the mobile device. With cloud computing and offsite secure services holding payment credentials for every consumer, people now have an ability to make simple, quick and easy mobile payments ANYWHERE. As the consumer, the terminal is now in your hands. Platform agnostic solutions will enable any mobile device holder to transact and make a purchase with any merchant or brand connected to the platform. It shouldn’t require me to have an iPhone, Android or any other specific device. I don’t’ think “sorry, we only accept iPhones” should replace “sorry, we don’t accept American Express.” Everyone is created equal and every dollar bill is $1.00, no matter who is holding it. This principle should remain the same as we evolve into a purely digital society and work through determining the appropriate payment methods. And as payments become virtual, platforms such as Dwolla start to make a lot more sense. If you were a merchant looking to accept mobile payments, which would fee you rather pay – a flat 25 cents or between 2-3% of a transaction? It’s no contest, Dwolla’s fee structure could put credit card companies directly out of business, unless they bring down their fees to a competitive level. 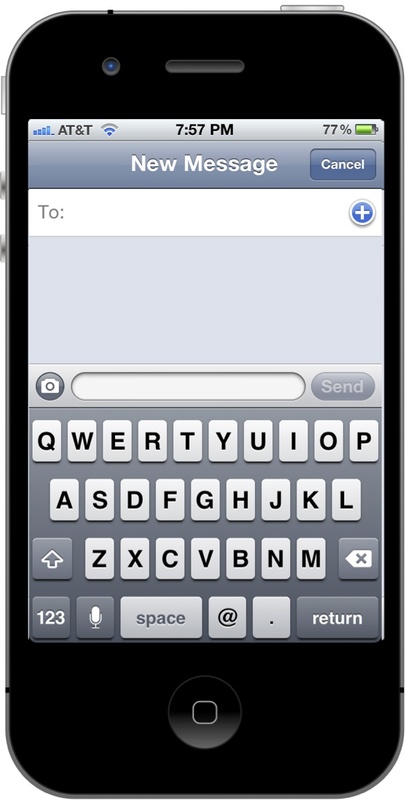 I have said this before but it bears repeating: what if SMS messaging was not only for communications? What if, as a very efficient information transport mechanism organically built into billions of mobile devices around the world, it was used for payments and transactions? Seconds drives secure payments through text messages, allowing someone to quickly make a instant and automatic transaction by simply texting a keyword to a merchant. Conversely, a merchant can ping your mobile phone with a message to complete the transaction by simply responding with a specific prompt. How did they know to do that? Your phone number has now become your payment credential, and interestingly enough they can instantly reach you via short message from pretty much anywhere in the world. Imagine how things will change when we all can interact and transact with any brand in the world in Seconds? I am not sure how much quicker we can make things but a second is pretty damn quick. 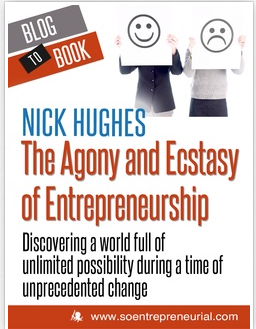 This entry was posted in Startups, Technology and tagged evolution, mobile, payments, Paypal, Seconds, Square. Bookmark the permalink. Would the merchant be managing these text messages with his phone? computer? maybe tablet? Either way, sounds awesome. Payments through molbie :The cell phone has revolutionized the way that we operate and live our lives. Starting as a simple communication tool it has evolved into being our calendar, instant messaging device, camera, Internet browser and everything else you can think of. But did you know cell phones are primed to take over our primary payment vehicle as well? In countries such as Japan and Korea, it is already possible to pay for vending machine purchases, groceries and even airline tickets by using your cell phone.The latest trend in molbie payments is a new service from Paypal Mobile that even allows consumers to send payments to others, purchasing items from select retailers, or donating money to charities by punching a short code text into your cell phone. Services such as these give consumers the feel of a molbie wallet where cash, credit cards or even wallets are quickly becoming a thing of the past. But what are molbie payments and how do they work?Mobile payments is the process of using your cell phone to make everyday purchases that normally would would require cash or a credit card. Mobile payments are already becoming part of our lives when you think of current offerings like music, video, ringtones, online game subscriptions, wallpapers or any other digital good. However, despite this service reaching world-wide acclaim in developing countries and all across Europe it has yet to break into America. You would think in a country as hungry for instant gratification as we are this option would be a no-brainer, but the are a number of reasons why we have failed to embrace molbie payments.Mobile Payment Challenges:First off, changing the existing payment infrastructure in the United States would be an expensive enterprise, especially for merchants. Another problem is infrastructure support. Mobile payments cannot work if at least one party involved is not connected to the same back-end server that can be quite expensive to implement. Plus, in America people have much more access to personal computers and back accounts. In less developed countries, however, a person can use his or her cell phone for both of these services, making it a far more convenient technology. And one of the main reasons for the lack of molbie payment supremacy in the United States is poor reliability.Just like we have all experienced before, text messages can easily fail or messages can get lost altogether. Think if you were making a mortgage payment on your cell phone and it didn’t go through or the message was lost. Plus there is always the problem of slow connection speed. If your messages are moving slowly it could take hours for a transaction to go through causing delays that most people aren’t willing to accept. And probably one of the biggest concerns is security. What’s stopping someone from stealing your phone and going on a shopping spree and stealing all your money? Even with the protections of pin codes and fingerprint authorization, there is still a level of concern. However, it is fair to point out that molbie payment is in its infancy right now and still feeling its way out. But there is no doubt that it is definitely on the rise.The Pay OffMobile commerce, including molbie payments and molbie banking is predicted to grow exponentially in the years to come. According to the 2006 report, “Mobile Commerce: Dealing with the Devil in the Details,” molbie payments will be worth 55 billion in 2008.There are around 43.1 million molbie payment users currently and it is estimated to grow by 70 percent to 73.4 million by the end of 2009. According to global research firm, Gartner, there will be more than 190 million molbie users by the end of 2012.Mobile payments, although somewhat risky and unproven, without doubt has some serious advantages. The ability to pay utility bills, shopping bills, purchase movie tickets, insurance premiums, and not to mention the ability to perform bank transfers all with your cell phone is an exciting proposition. Once this technology tightens up on its security issues and becomes more safe and reliable, it will turn into a major 21st century convenience that is here to stay for the long term.